Purim starts tonight! – Are You an Esther? 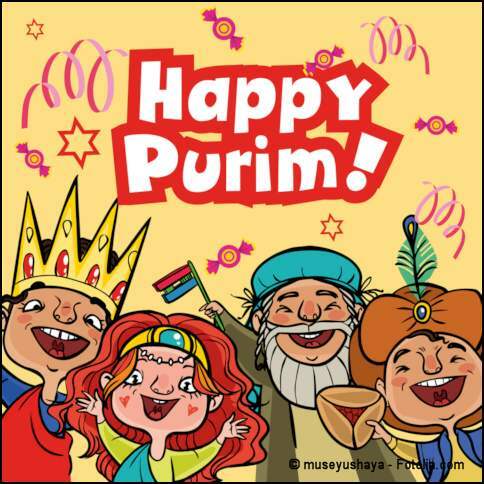 The Festival of Purim begins this evening, Wednesday, March 4, 2015. The story of Purim is found in the biblical book of Esther, where we read how Haman, the highest level official of the King of Persia, plotted the destruction of all Jewish people out of his resentment towards one prominent Jewish man, named Mordecai. As dark as was Haman’s insane hatred, so bright was the virtue of Esther, Mordecai’s cousin. Through divine providence the King of Persia married this young Jewish girl. At first she hid her Jewish identity, until Haman’s plot became known. At the urging of Mordecai, Esther revealed her true identity to the King, who then allowed the Jews to defend themselves against Haman’s threat. At first Esther hesitated to approach the King. For it was the King’s custom that if anyone appeared before him without first being summoned, they could be executed. The only exception to this rule, which could not be known beforehand, was if he extended his scepter to that person. Mordecai understood how dangerous Haman’s plot was. He knew that just because Esther was married to the King her protection was not guaranteed. While he was confident that God would deliver his people, it would most likely be at the cost of many lives including that of Esther and her own family (which would have included Mordecai as well). Yet Mordecai thought that God may have placed Esther in the royal household for the purpose of saving her people. What about you? Are you an Esther? I wonder how many of us are in situations right now in which we are called to make a significant difference. We are living in a very critical time in history. Perhaps you think your life is just fine. But do you realize that the world is spinning out of control? Economic instability and the threat of terrorism engulf the globe. The moral consciousness of many, if not most, societies, have become corrupt beyond reason. Family life is broken, and almost everyone is obsessed with self and materialism. How many of us may be in positions where we can make a positive difference by standing against the assault of wickedness before us? And if we do nothing? Will that ensure that we will escape the coming destruction? Like Esther we may be intimidated by what it might mean to speak up. We know that to go against the flow of evil is risky. Yet, as Mordecai said, to do nothing is actually the greater risk. We comfort ourselves with the thought that God will accomplish his purposes in spite of us. But is that really what we want? If we don’t take a stand, we will be swept away. And who knows but that we have come to our position, whatever that may be, for such a time as this?